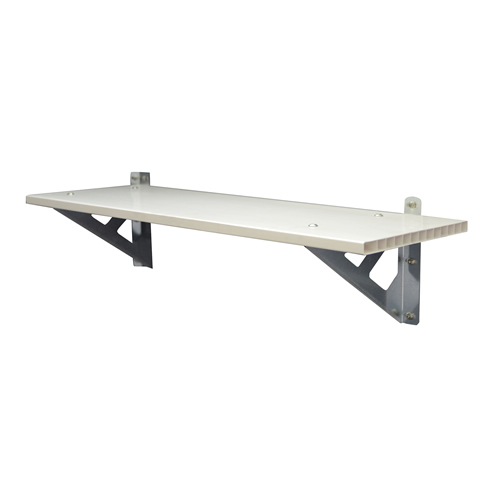 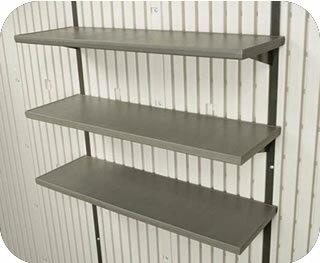 View our shelving and hooks made for Arrow and DuraMax brand outdoor sheds. 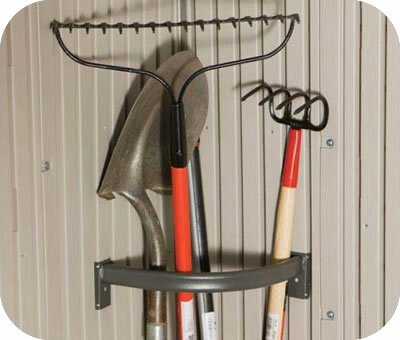 Organize the inside of your new backyard shed by storing your tools on hooks and other items on quality, good looking shelves. 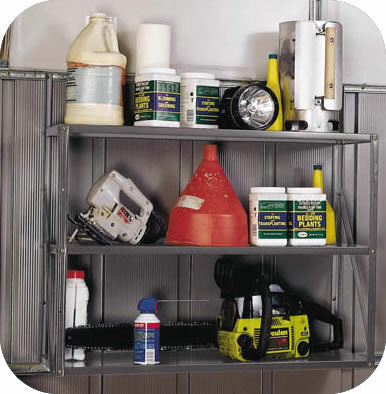 Get your stored items off the floor of your tool shed and make even more storage space! 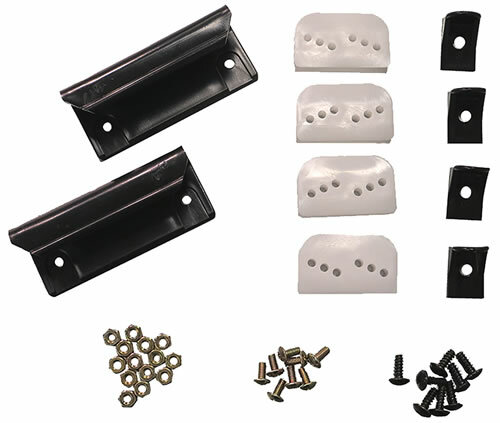 Our shed door repair kit for Arrow sheds will fix sliding doors that have fallen off the track. 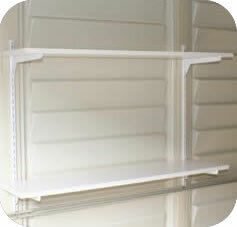 Kit comes complete with handles, guides and slides. 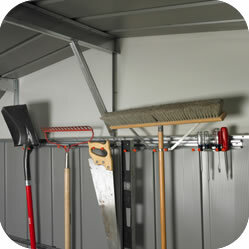 Get organized the first day you assemble your new shed with shelving! 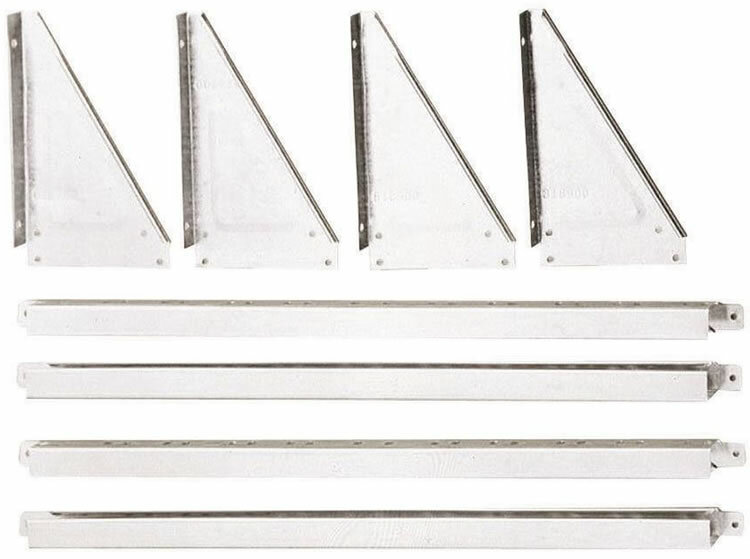 Our SS404 shelf kit allows you to make custom size shelves for Arrow sheds! 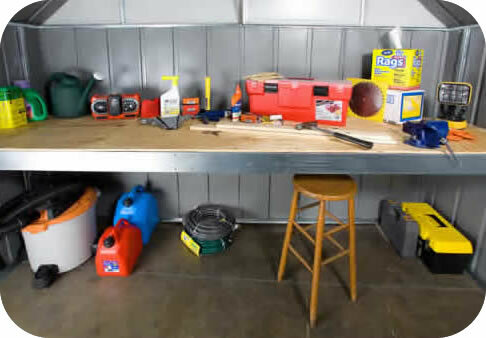 Made for our 10 foot wide Arrow sheds, this kit will help you easily create a work bench at waist level or an extra over head storage attic. 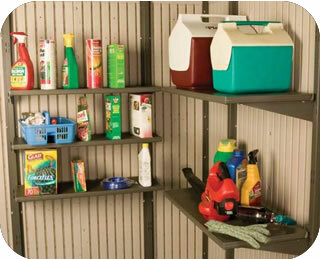 Buying a new vinyl storage shed is all about organization. 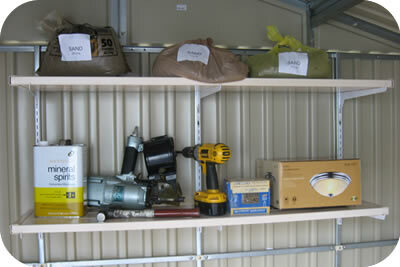 Add shelving to your new DuraMax shed kit and get organized right away!